Shimano Deore M611 10 Speed Front Mech, triple front derailleur, conventional swing, dual-pull. 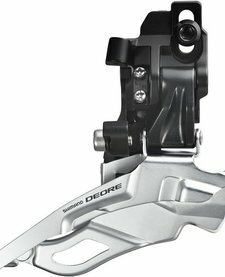 Shimano Deore M611 10 Speed Front Mech, Direct Mount. 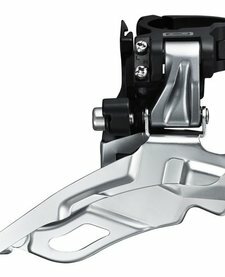 10-speed triple front derailleur, dual-pull, direct-fit, black.